Hamilton County knows what goes into restoring a bridge. The county connected three historic bridges at Strawtown Koteewi Park in 2016, and it soon will begin work on another. It recently acquired the Bell Ford Covered Bridge in Jackson County. Hamilton County and the City of Fishers will work to rebuild the covered pedestrian bridge near the county’s Geist Park. The restored bridge will be adjacent to Florida Road between 104th and 113th streets, spanning Fall Creek. The Bell Ford Covered Bridge is the only remaining combination post truss bridge in the world. A truss bridge is connected by triangular units stressed from tension and compression. 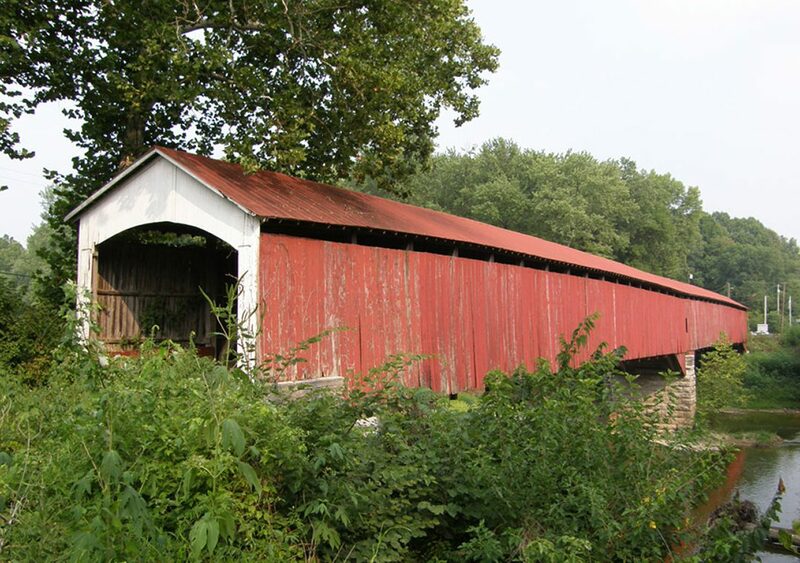 Although there are three other post truss bridges, the Bell Ford Covered Bridge is the only one combining timber and metal. 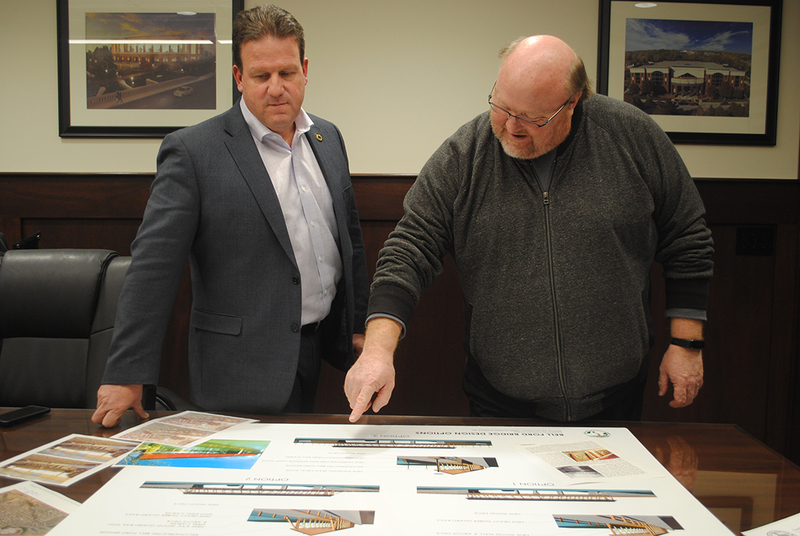 Hamilton County Commissioner Mark Heirbrandt said the project originated when a Luxhaven neighborhood resident was concerned after learning the City of Fishers wanted to construct a pedestrian bridge through the neighborhood. 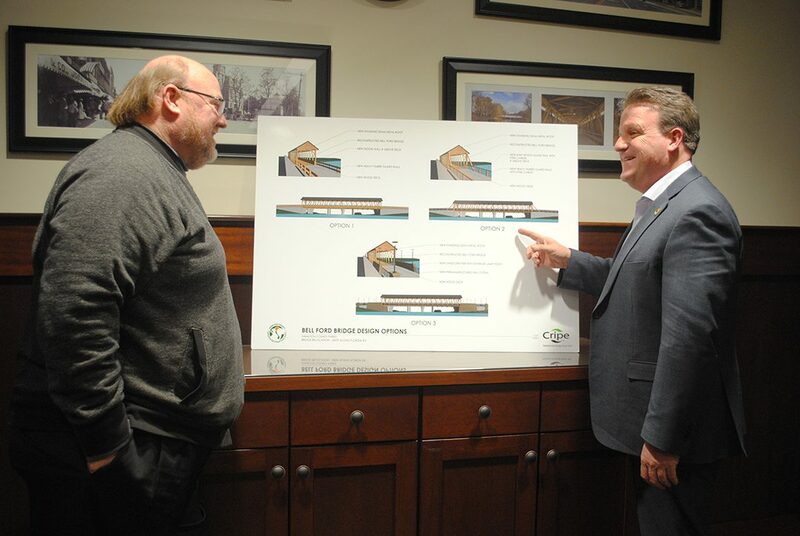 Heibrandt worked with the City of Fishers and learned the city wanted a bridge on the east side of Florida Road because the span wouldn’t stretch as long and would cost half as much as constructing it on the west side. “I said, ‘OK, but I really think we ought to sit down and we ought to talk about a connectivity plan over in that area,’” Heirbrandt said. Heirbrandt spoke with Jim Barker, a Bloomington resident and a senior technical advisor and project manager with VS Engineering. Baker met Hamilton County Parks Director Al Patterson when the county restored Potter’s Bridge and the Strawtown Koteewi bridges. Barker helped Jackson County recover a span of the Bell Ford Covered Bridge that collapsed in 2006. Upon learning about the bridge, Heirbrant and Patterson began to pursue the bridge as an option to constructing a new bridge. Although organizations across the nation wanted to acquire the Bell Ford Covered Bridge, Barker helped convince Jackson County to give it to Hamilton County. On Nov. 7, Heirbrandt and Patterson traveled to Jackson County to present on Hamilton County’s restoration plans for the bridge. Hamilton County plans to include Jackson County in the restoration process. In exchange for the bridge, Hamilton County donated $25,000 to Jackson County’s Round Barn Restoration Fund. Hamilton County is exploring funding options such as an 80/20 grant from the Indianapolis Metropolitan Planning Organization. The MPO is granting funds for projects beginning in 2024. However, if the county is awarded the grant and other MPO projects fall through, the bridge could be restored sooner. Hamilton County also is applying for grants from INDOT and the National Covered Bridge Restoration Foundation. Heirbrandt said he expects restoration to cost approximately $3 million. The Bell Ford Covered Bridge has two spans and measures 325 feet in total length. The county only requires half of the bridge for its plans near Geist Park and plans to store the other span for future use. The deconstructed bridge is stored in Barker’s barn in Bloomington. The bridge won’t be transported until nearer the restoration date. When reconstructed, the bridge will consist of a single span from the Bell Ford Covered Bridge and two contemporary-style approach spans. It will have a standing seam metal roof. The siding will be built with fiberglass, glass and other clear materials. Interior lighting will be installed. The Bell Ford Covered Bridge was constructed in 1868. It consisted of two spans above the east fork of the White River in Jackson County. The bridge spanned 325 feet, with each half spanning approximately 160 feet. A wind storm caused the western span of the bridge to collapse in 1999. The eastern span collapsed in 2006. During the second collapse, the bridge fell into the river but many of the trusses were salvaged. The bridge was has been stored in engineer Jim Barker’s barn in Bloomington since the collapse.